In today’s business world, you can’t expect to compete without having a significant web presence. Just managing a website isn’t going to cut it anymore though. You need your website to be an effective weapon in your brand’s arsenal. No matter what your company does, your small business marketing efforts do more for you. Improving your website can help you do that. 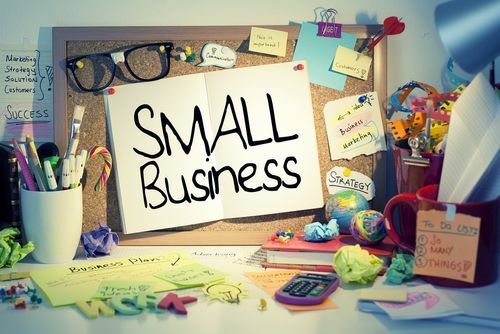 Use this guide to learn more about how to make your website an effective small business marketing tool for your company. It might sound obvious, but a lot of small business owners who have developed websites themselves are missing one key feature: They don’t make it incredibly easy for potential customers to contact them. It should be clear how a customer can send you an e-mail to get in touch. Your mailing address, telephone number, and even your fax number should also be easy to find. Make contact information of some kind visible on every page of your website to convert page views into real sales. Have a web form to generate leads from your website also. A beautiful website that’s appealing to customers is a good start, but are the people who get to your site contacting you or buying your products? As impressive as your site is, most developers and designers don’t know how to really make your website work for small business marketing. For many companies, an audit by conversion rate experts can be beneficial. If you’re tech-savvy, you may even be able to figure out how many clicks you’re getting versus how many customers are really spending money with your brand. Video is one of those things that many small business owners tend to forget about. The fact is that videos keep website visitors engaged and get them interested in your brand. Include one on your start page or on your most commonly visited pages. Your website can help you make sales, but you need to improve your website first. Use these tips to turn clicks into real money you can take to the bank.